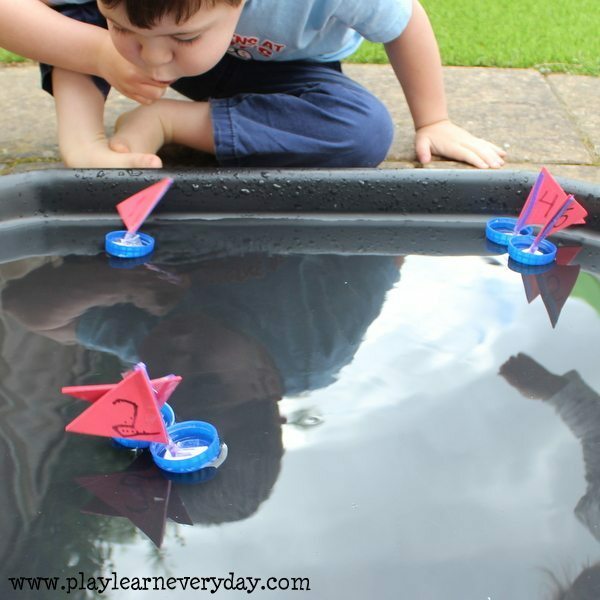 For our family summer is all about playing in the water, and what better way to play than to make your own little boats to sail and race. 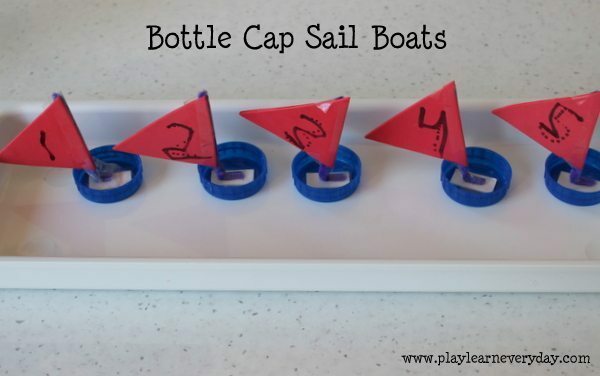 These are so easy to make you can finish them in less than an hour, the hardest part is waiting for the glue to dry so that you can take your boats out in the water! The first step was to make the sails out of the foam sheets. Ethan is 3 ½, so his scissor skills are improving, but I did most of the cutting today, an older child could definitely do this part by themselves. Next we wrote numbers on the sails, we made five boats so I wrote the numbers from 1-5 on one side of the sails and drew dots for Ethan to trace along on the other side to write the numbers himself. Then we used tape to attach the pipe cleaners to the finished sails (this could be done with glue, but again our desire to finish these boats as soon as possible led us to the quicker method!) Then we used double sided tape and glue to ensure that the pipe cleaner was securely attached to the bottle cap. Then it was time to wait for out boats to dry, luckily it was lunch time for us, a good excuse for a break and a good chance for the glue on our boats to dry to make them really strong for racing. We filled up the tuff spot / builders tray with water (but it would also work great in any large tray or even the paddling pool) and set up our boats at the starting line. Then it was time to use our own air power to make our boats sail as quickly as we could. Ethan chose which boat he wanted to race and told me which one was mine, then we blew as hard as we could behind the boat to send it across the water. This could also be done using a straw to direct the wind more effectively. Ethan absolutely loved racing his boats and spent ages sending them back and forth across the water. Then as it was a hot day and we had a tray of water out, it was the perfect excuse for a little splash in the water before the day was done. If you like this activity – then we’d love you to sign up for our newsletter – why not give it a go? 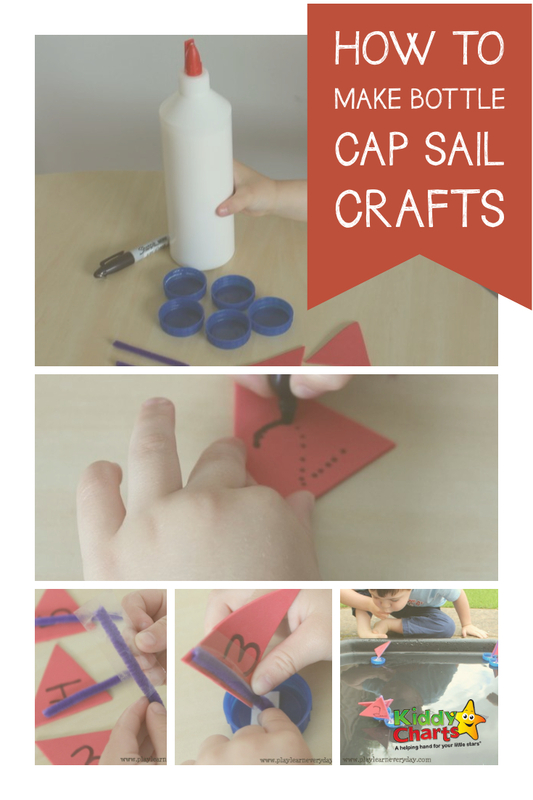 And do pin this craft for later too, if you aren’t going to do it with the kids now! Thanks so much for coming, and see you again soon. 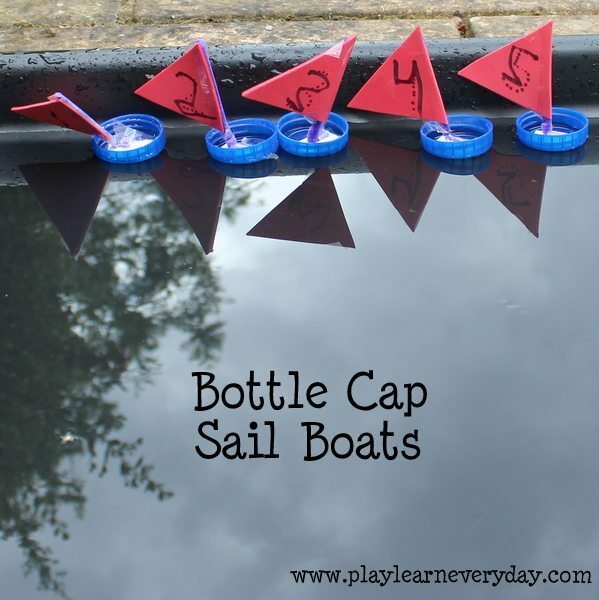 Really very simple steps to make bottle cap sail crafts. Thank you very much for sharing. 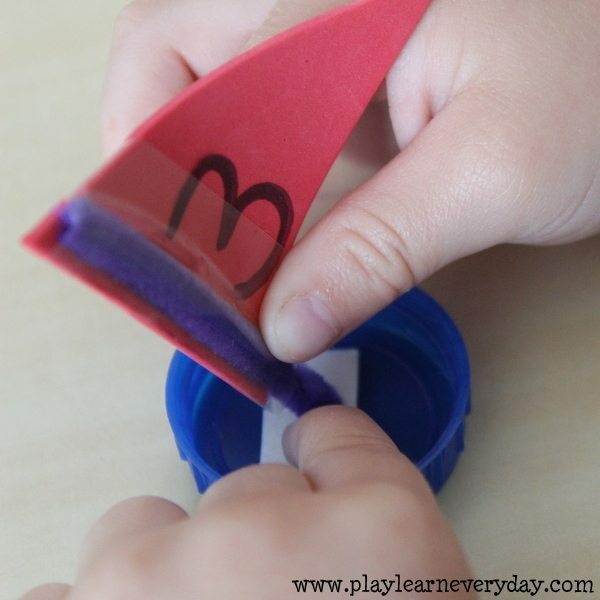 We loved making these boats and still play with them now, thanks so much for letting us share our fun summer activity with all of your readers. Happy Summer!